Jules Massenet, a French composer who dominated the 19th century opera scene during his lifetime. 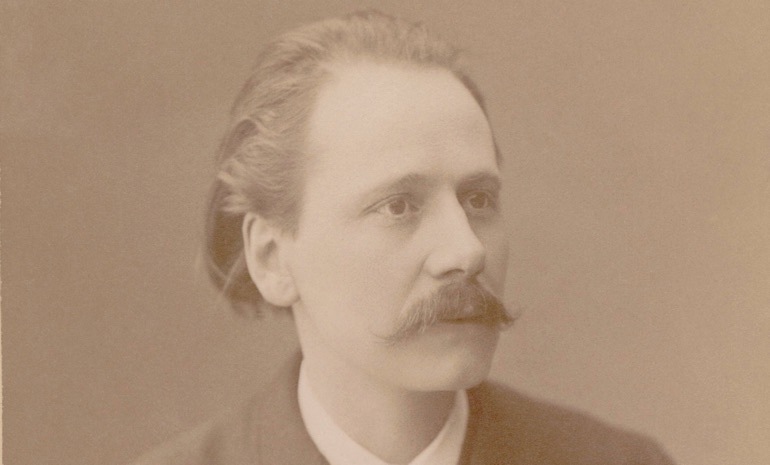 Born in 1842 in the French town of Montaud, Massenet learned music at his mother’s knee. She was a piano teacher and composer. After his family moved to Paris, Massenet entered the Conservatoire, aged 11, and studied under renowned composer Ambroise Thomas. He died in 1912, aged 70, from abdominal cancer, and was buried in Égreville. There’s no standout showpiece aria in this opera, but it’s full of gorgeous music. Rejecting all of her suitors in Act IV, Dulcinée sings a beautiful aria lamenting ‘When the time of love has flown’ ('Lorsque le temps d'amour a fui'). The final scenes contain some sublime singing as Don Quichotte lies dying with his servant Sancho and the sound of Dulcinée’s voice in his head. Massenet could conjure up particular scenes using simple melodies and orchestral colour. In other words, he used musical tools to ‘paint’ a picture of a place and time, often with remarkable clarity. Listen out in the opening scenes as a vibrant, active rhythm pulses through the orchestra. The drive and pace of the melody suggests a flurry of activity, and sure enough, we’re at a festival. The melody has an infectious Spanish flair, which tells us where we are. At the beginning of Act II, a misty day is dawning. The music starts slowly, quietly, as though the world is just waking up. As the upper and lower strings play simple harmonic chords, the woodwind take up a jaunty folk tune, such as a shepherd might play. It suggests the countryside. At the beginning of Act III, Don Quichotte is searching for robbers as the sun goes down. He is in the craggy mountains of the Sierra and danger is in the air. The brass set a foreboding mood with a falling melodic line in a minor key. Listen to how the theme travels up in pitch as different instruments take it up. As it travels up through the brass, to the strings, to the woodwind, you can imagine raising your eyes from the ground to magnificent mountain peaks. A pretty, period production featuring stylised scenery from Ralph Funicello and colourful costumes by Missy West. San Diego Opera created the production for Ferruccio Furlanetto, and it has also appeared at the Lyric Opera of Chicago. from the 1910 Paris production of Don Quichotte. ​Massenet was 67 when he began writing Don Quichotte, at the tail end of successful career. Reeling from the failure of his most recent opera, Bacchus, and bed-ridden with rheumatic pains, Massenet turned to work for comfort, and Don Quichotte took shape in less than a year. With a commission in hand from the Opera de Monte-Carlo, Massenet happily accepted the subject they proposed: an adaptation of Cervantes’ famous novel, Don Quixote. The director of Monte Carlo had enjoyed a stage version of the story by the unsuccessful playwright Jacques Le Lorrain, and suggested it to Massenet’s sometime collaborator and librettist Henri Caïn. 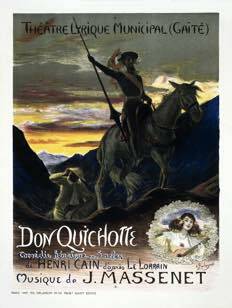 Don Quichotte premiered 19 February 1910 at Opera de Monte-Carlo to a rapturous audience, and by the end of the year, had been seen in Brussels, Paris and Marseille. Just a few years later, opera houses in America and England had also mounted performances. Today, it continues to be a vehicle for exceptional singing actors. Massenet himself knew a little of Don Quichotte's unrequited love woes. He had a tendency to fall for his leading ladies and Lucy Arbell, the mezzo-soprano who originated Dulcinée, was no exception. Cervantes’ famous novel has inspired countless adaptations, but very few of them have stuck in public consciousness. 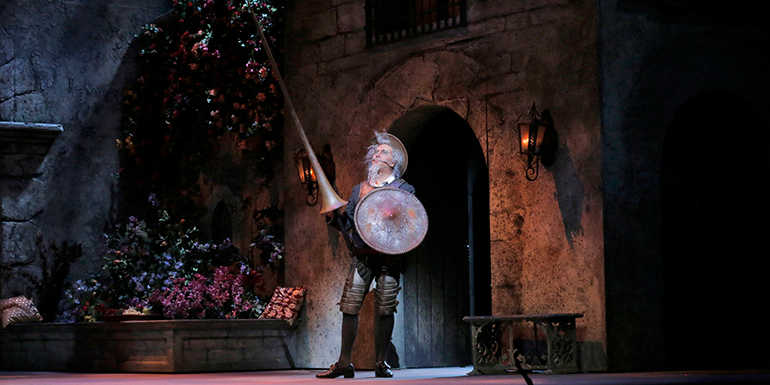 Massenet’s opera followed more than 60 others based on the story of the Knight of La Mancha. Fyodor Chaliapin, the first Don Quichotte, was so taken with Massenet’s music that he invested hours of his own time to design his hair and makeup for the role. Lucy Arbell learned to play guitar especially so she could accompany her own aria in Act VI. The music: Rich, melodic sounds that paint a picture of a place and time. The big hit: There aren't any concert showpieces in this opera, but plenty of moments of sublime singing. The history: Massenet wrote most of this score while confined to bed with rheumatic pains. A quirky fact to impress your date: More than 60 other composers had tried their hand at setting Cervante's famous novel by the time Massenet picked it up.